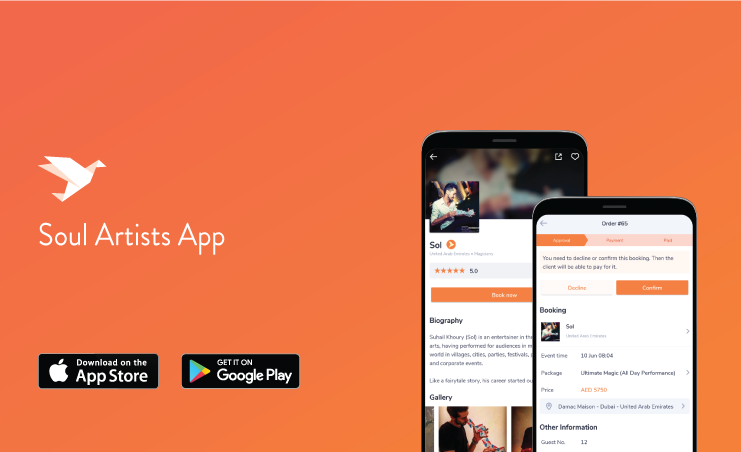 Soul Artists finally arrives on iOS and Android worldwide, now you can use Soul Artists on the go, receive and manage your bookings wherever you are, book artists on the fly, and update your profile in real-time. A lot of care and love has been put in the development of our app to make sure its fast, functional, minimalistic, and useful for artists and entertainment seekers alike. ● Register your talent on the worlds artist platform. ● Get discovered all over the world. ● Get paid for doing what you love. ● Multiple payout methods to choose from. ● Huge and diverse list of entertainers to hire. ● Safe & secure booking process. ● Upload and share all your content from one place. ● Ticket marketplace for workshops and events.